-Tomatoes with basil, olive oil, balsamic vinegar, garlic, demerara sugar, salt, pepper. 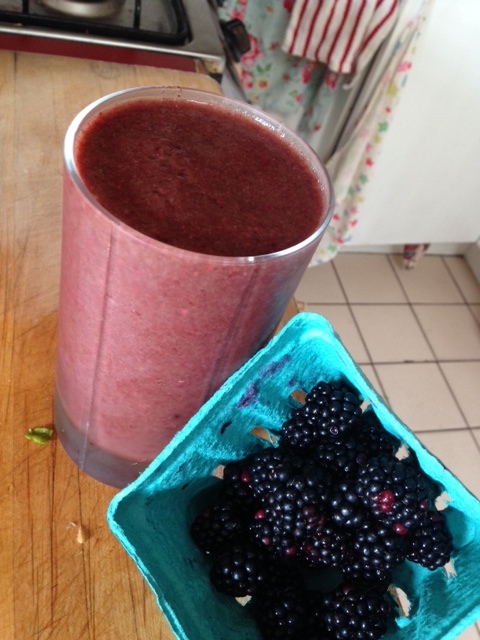 done with the blackberries, and swiss chard. 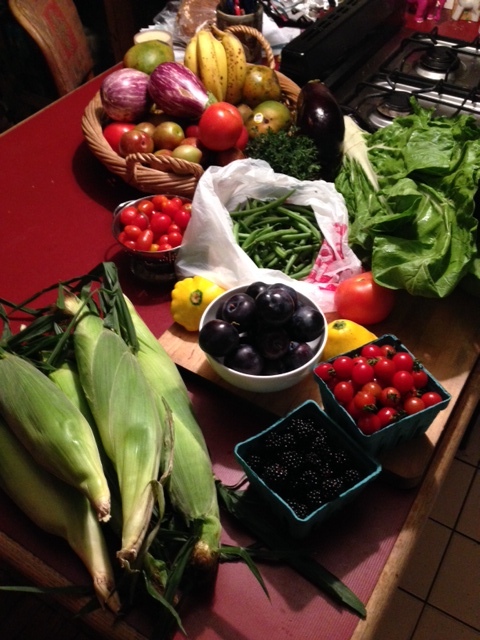 Grocery store additions include a banana, apple, mango, ice. Blend for 7 seconds and drink immediately. 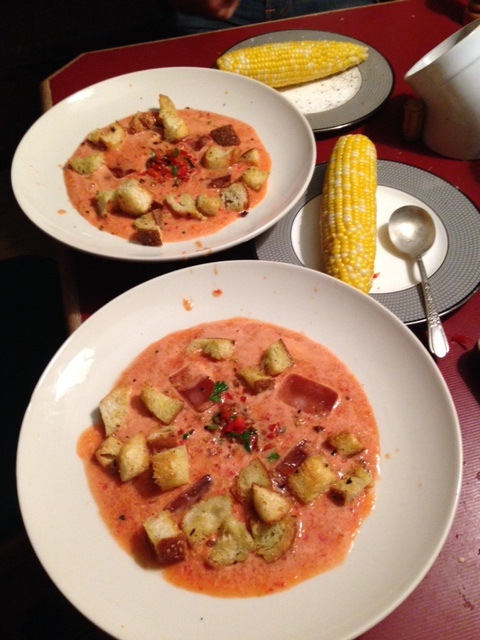 Gazpacho and more delicious corn. 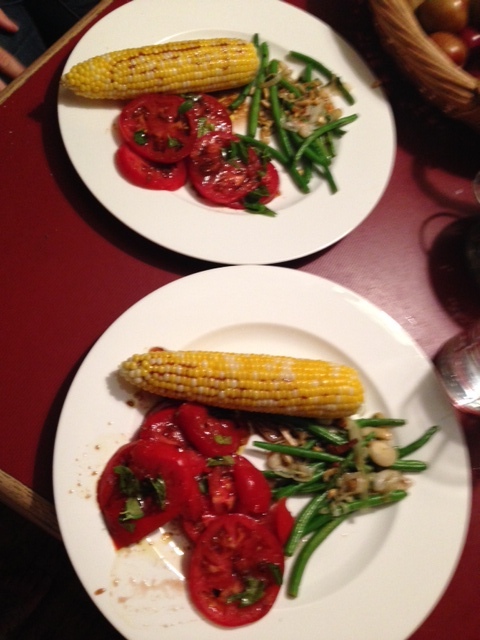 I used all the tomatoes which were two whole punnets of cherry tomatoes and the two beefsteak. 1/3 cup white wine vinegar, 1/3 cup water, 1/4 cup olive oil, 1 red bell pepper, 1 skinned cucumber. Dash of hot sauce, salt and pepper. Put it all in the blender for 5 seconds. Chill in the fridge, or if you want to eat right away, drop some ice cubes in the soup after pouring into the bowl. Saute some bread with garlic, salt, olive oil, parmesan. Sprinkle with diced bell pepper and parsley.